I was never koo-koo for Coco-puffs, but the headline ambushed me as I sat listening, enthralled. If it sounds childish, that might give you some idea of how this recording moves me. 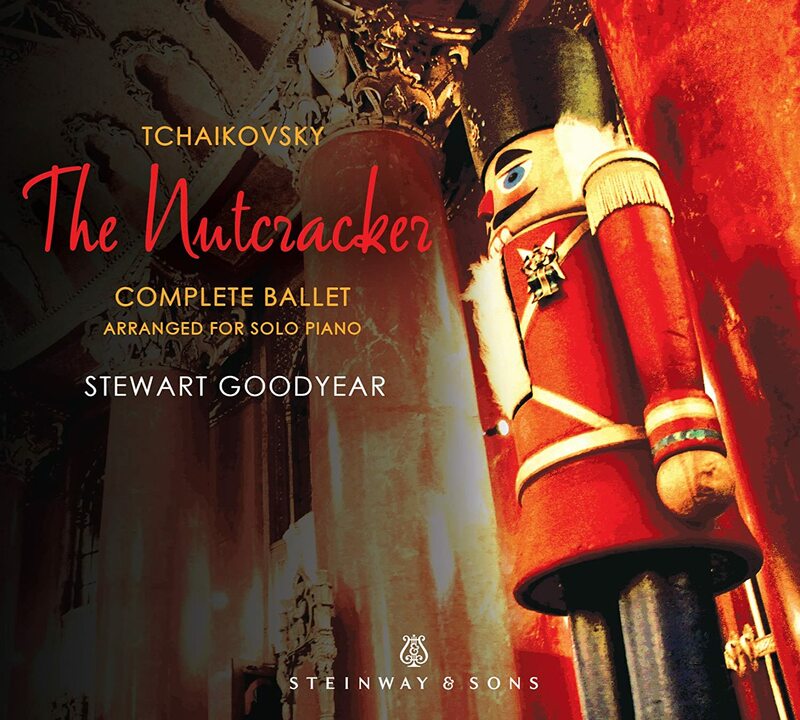 I associate Nutcracker –the ballet, and the score– with Christmas and childhood. That hardly makes me unique. Let me give you two pieces of context, and as usual, make a big digression to personalize this. No, I am not about to confess that I am nuts, period (although some who know me might protest). Context part one concerns transcriptions. I play them, both in the sense of undertaking to transcribe, and playing transcriptions by others. There are some amazing ones out there, for instance Busoni’s Bach, Liszt’s Berlioz, Beethoven & Wagner (among so many others I could name), Rachmaninoff’s Bach, Mendelssohn & Schubert, among so many others one could name. Context part two concerns the pianist. I’ve written more about Stewart Goodyear on this blog than any other pianist. If you look at the tag cloud to your right, and exclude opera company names or dead composers, you might notice that the largest font belongs to a pair of Opera Atelier artists, namely David Fallis & Marshall Pynkoski. It could be a sign that I love them dearly, but it’s also a purely mathematical reflection of their presence in every single Opera Atelier review you’ll find here; Alexander Neef or Johannes Debus are smaller in font because they’re not in every performance. Robert Lepage (who is the same font size as Goodyear, another Canadian I admire very much) and Goodyear are the next biggest after Fallis & Pynkoski. When we remember that I make a point of not mentioning an artist in a review if I am unhappy with their work, it’s a big deal that a solo pianist is in this position. Where I can talk about other aspects of an opera production if I don’t like the conductor or director, there would be no review if the solo pianist didn’t measure up. To be honest: I worry sometimes that if I go on too much about Goodyear, that people will simply assume I am partisan, biased, and not objective. In fact I would have written even more about Goodyear had I not feared I was beginning to sound like a broken record, like his shill. While I enjoy everything from Goodyear at least on the level of his pianism, I put his Beethoven at a higher level. I was fascinated by his Rachmaninoff, which sounds different than any other reading of this composer I’ve ever encountered. I don’t say that in the sense of “oh wow you must listen” so much as an admiration of an original approach that hasn’t fully persuaded me. And here we come to something rather intriguing. If you saw the segue coming, yes Tchaikovsky is also Russian. Goodyear plays this music as though he knows this music at a very deep level. Surely this began in the transcription process, where Goodyear sat at the piano and attempted to replicate the ballet by ear. In the liner notes he makes clear his deep lifelong connection to this music, and by that meaning the full ballet rather than just the short suite people sometimes hear played in concert halls. Goodyear’s transcription is over 82 minutes long, another astonishingly ambitious project to put alongside his marathons of Beethoven sonatas. The physical component alone would be daunting to other pianists, but Goodyear isn’t like other pianists. Many effects are startlingly orchestral. The phrasing and dynamics suggest the ballet, the ongoing physical pulse of the dance, the drama of the story in full colour. Listening to it I kept getting lost in it as though I were watching one of my videos of the ballet. I make no apologies to you, if you get into my car anytime in the next few weeks. If this is what you’ll hear on the sound system consider yourself fortunate.